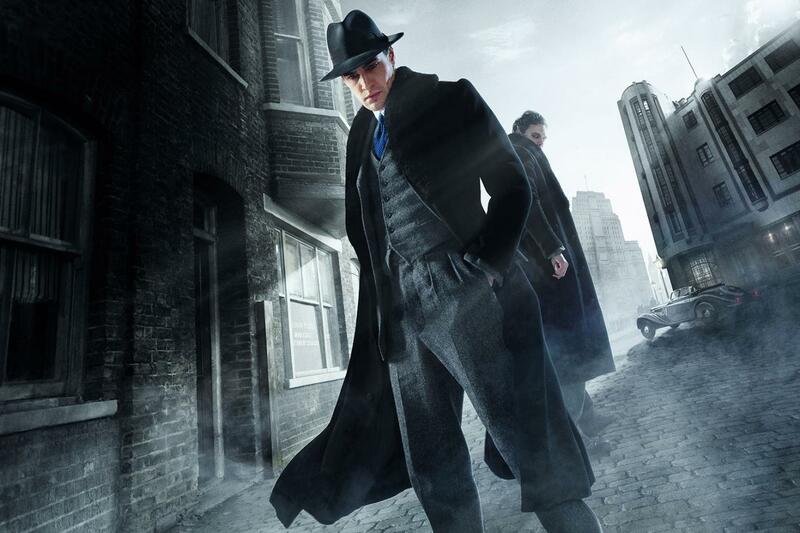 “We are all the monster,” in ITV’s updated Jekyll and Hyde, by Charlie Higson, which starts tonight. Inspired by The Strange Case of Dr Jekyll and Mr Hyde, by Robert Louis Stevenson, this 10-part series is set in glamorous 1930s London, where Robert Jekyll, the grandson of the original doctor, is trying to understand his real identity. Young Robert Jekyll, played by Tom Bates, turns into Hyde in moments of extreme anger, stress and when his or the lives of others are threatened. Richard E Grant also stars, as an extra secret agent, in the mix of mystery, fantasy, horror and sci-fi. Historic Hornsey Town Hall in Haringey proved an irresistible location, along with Rutland Place in Islington. In Camden, number 6 Fitzroy Square plays the home of Jekyll’s new friend Lily. The outside of Senate House in Keppel Street also features, with some moody smoke effects thrown in, as you can see in this publicity shot. In Southwark, scenes were shot in Nunhead’s Cemetery, around the chapel and inside the crypt. The team made a donation to Friends of Nunhead Cemetery by way of thanks. And in Southwark’s Camberwell New Cemetery staff helped out by digging a grave for a funeral scene. In this episode, mourners gathered around grave after the funeral service, while nearby, another group keep a respectful distance. In tonight’s opening episode, it’s 1885 and Edward Hyde gets into an altercation in the street with his patron, Sir Danvers Carew – and murders him. Fast-forward to 1935: in Ceylon, where Hyde’s grandson, the orphaned Robert Jekyll, is a young doctor and completely unaware of his ancestry. He is summoned to England, though, as the sole heir to a large estate. There’s only one snag, Robert wants nothing to do with the dark story.